Note: This post was originally published in February 2015 and has been updated in November 2017. In Ingress or TCMSv3, you have the ability to assign and control what other users can do in the software depending on the responsibility and task assigned to them. However, you will need to consider the role carefully before allowing the users to take on the role, as they might be able to remove other users or change the settings if the settings are turned on. There is no limit on the number of user roles that you can create in the Ingress or TCMSv3 software. 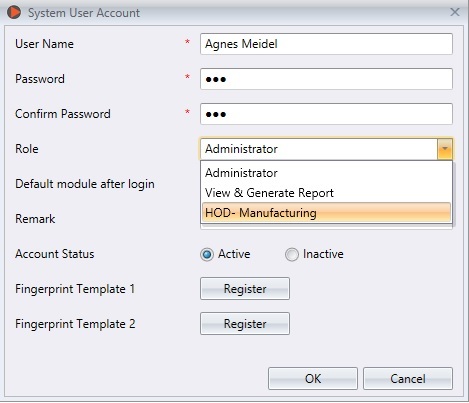 Before you can create a login account for the users, you will first have to create the user role. 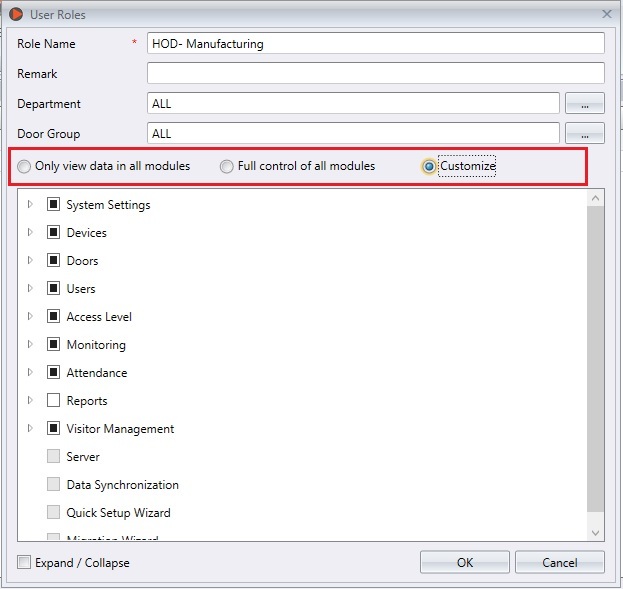 4) Select which modules you want to allow to this role. 4) Repeat the steps above to create a new role. You can select to update the existing roles by selecting them from the list, and click on Edit Role. Select the existing role and click Remove Role to remove it if it is no longer in use. Once you have created the role, you can now assign the role to the employees. Each employee will have a different login name and password to access the software. 3) Key in the User name and create the password. 4) Select the role from the drop down button. 5) At the Account Status tab, select active status to grant access to this user. 6) It is optional to enroll fingerprints for this user. They can verify their fingerprints to access Ingress instead of keying in the password. However, you must plug in the OFIS-Y scanner into the PC before clicking on the Register button. 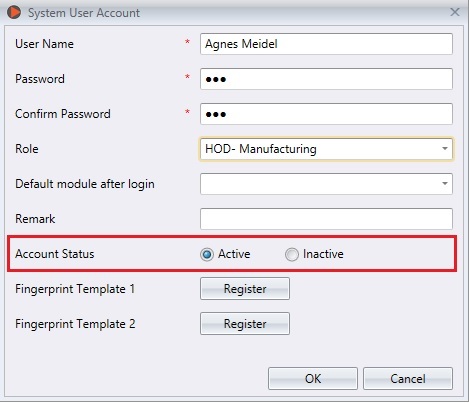 Follow the onscreen instructions to enroll fingerprints for this user. 7) Click OK to save the settings. 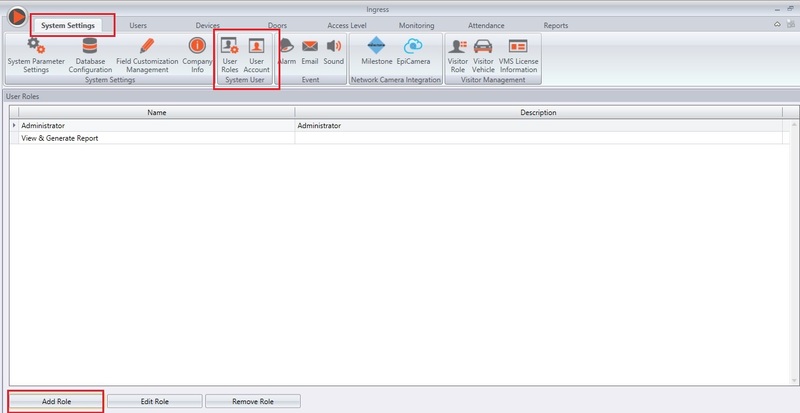 Repeat the steps above to create a new user login. Select the account and click Edit if there's any information that needs to be edited or click remove account to delete the account permanently. 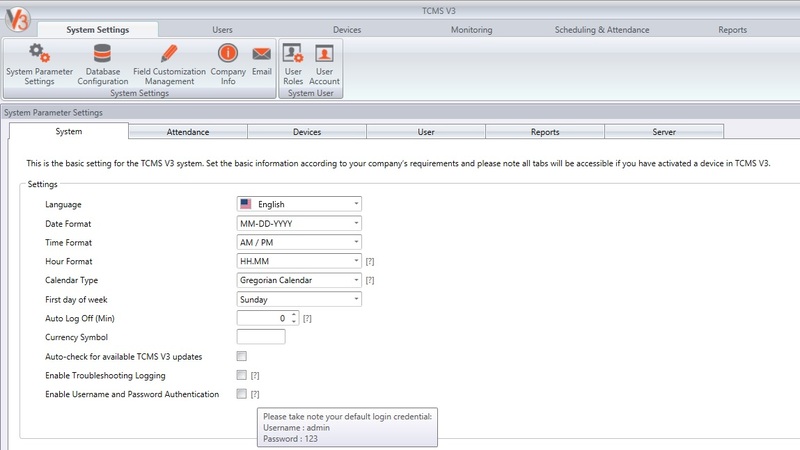 For TCMSv3, before you give this new login account credential to another user, you also need to tick the option for ‘Enable Username and Password Authentication’ at System Parameter Settings. Can a user log in just to see his or her's history and how many hours they have worked during a period of time. Can they request time off or vacation or sick time. 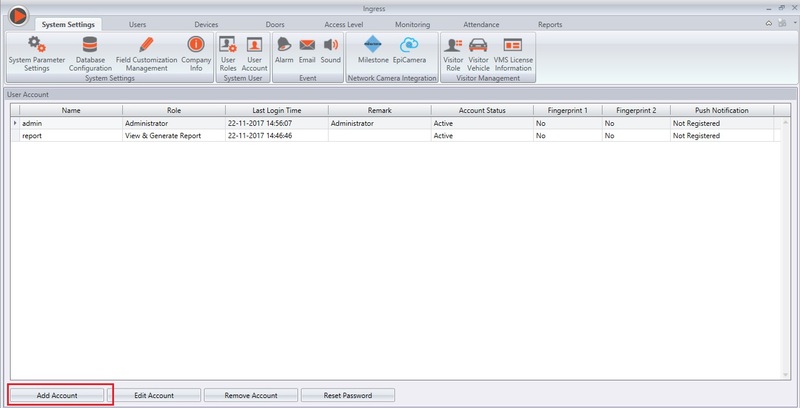 User can log in to the software if he/she has been given an access to log in to the software. He/She may check on the Electronic Time Card report to check his/her own transaction record on that particular time. 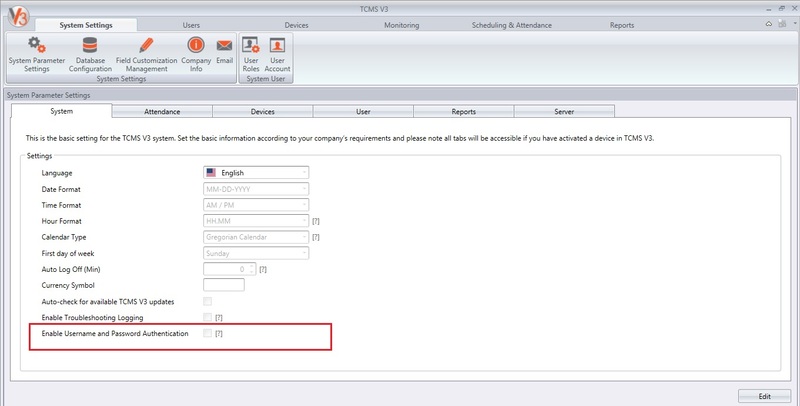 User cannot request for any leave via the software as admin can only manually assign leave to user in Attendance Sheet.